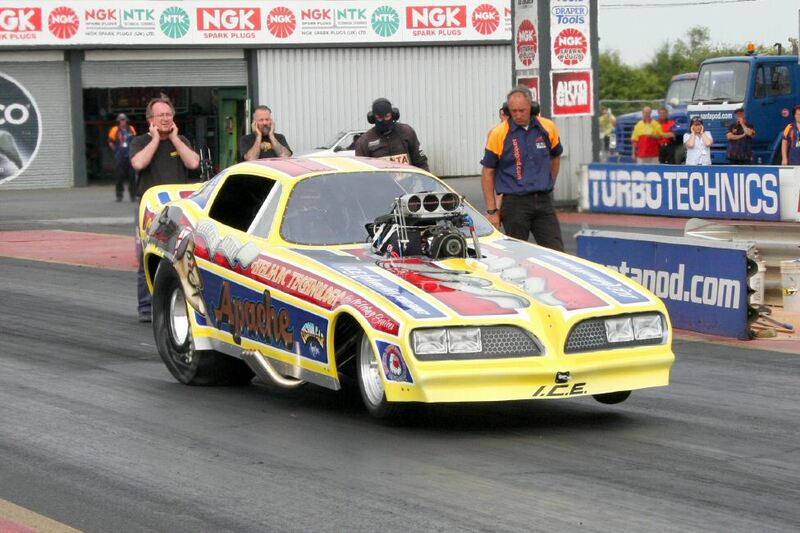 Sometimes a client needs a job done in a hurry, and at Graphic Violence we endeavour to deliver as swiftly as possible but sometimes our work moves even faster after it is completed…. 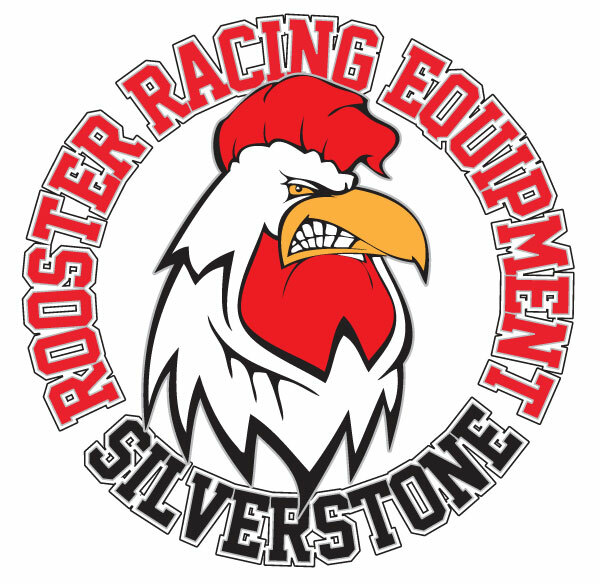 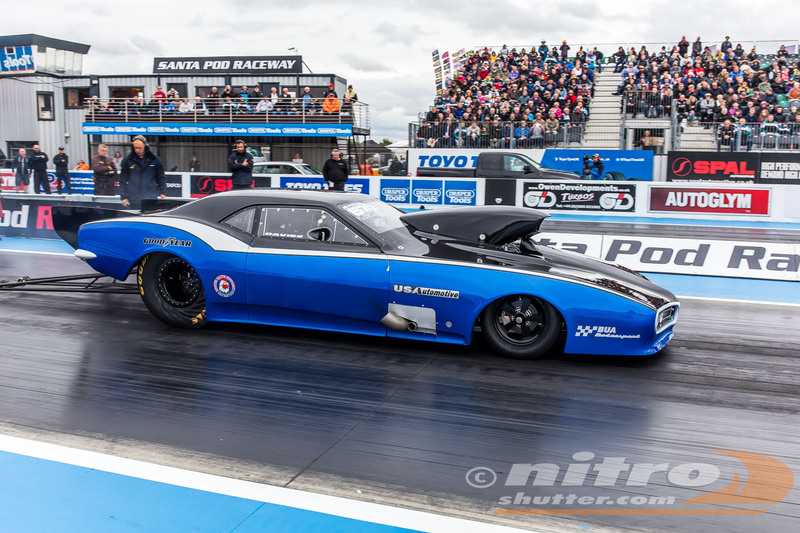 Rooster Racing Equipment supplies parts for race cars – very fast race cars – and when they needed a business logo and sticker design which could match the the pace, they came to us. 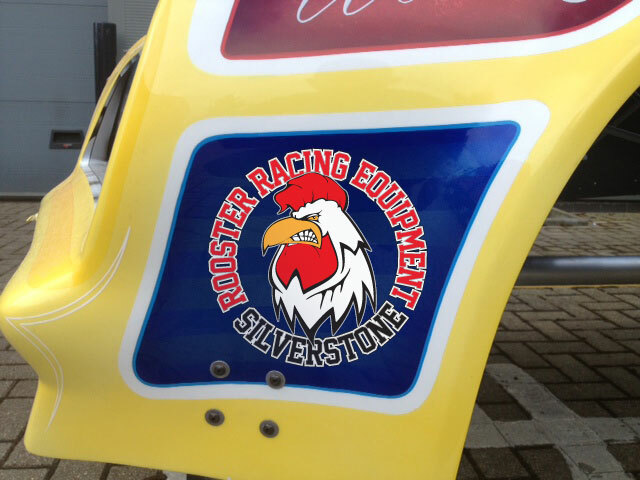 The Rooster Racing sponsor stickers are printed on clear, self-adhesive vinyl and have a left and right-handedness so the racing rooster is looking forward on both sides of the car.